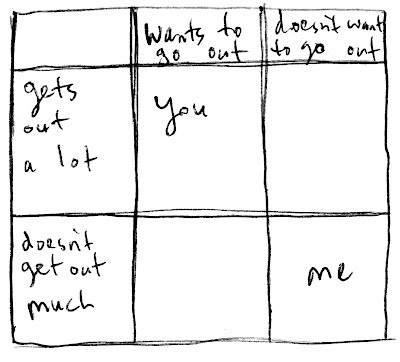 I don't necessarily mean "go out" in a romantic sense. 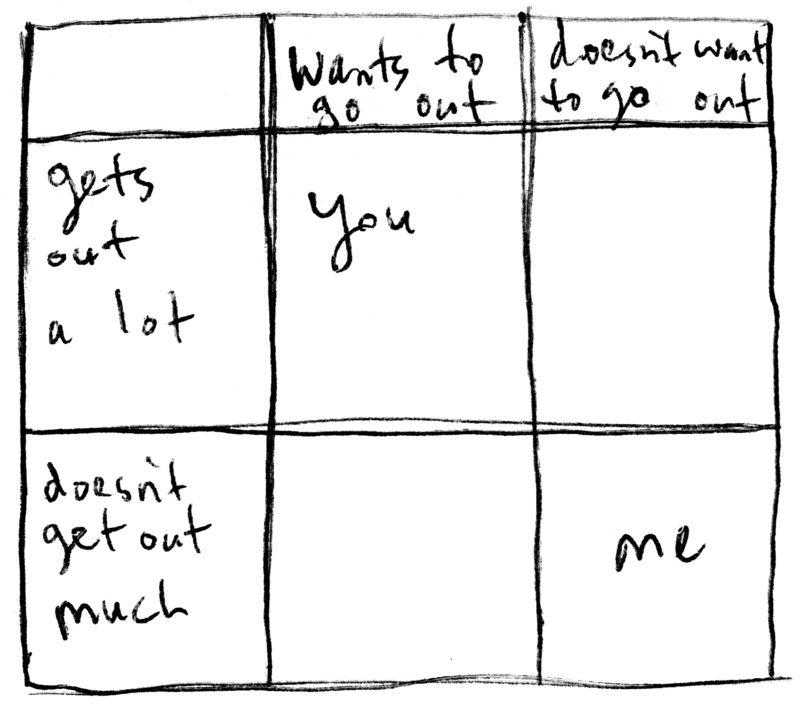 More like a "leaving the house ever" sense. At least someone understands me.